$270 online. 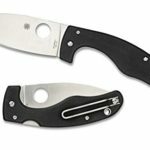 This is a pocket knife that easily opens with one hand. It has a mirror polished San Mai 3.5-inch VG -10 blade with an abalone thumb stud. This expensive knife has a jigged bone handle complete with titanium bolster and liner. You can carry it anywhere since it only weighs 4.5 ounces. $208 online. 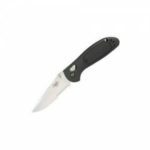 This beautiful knife has an AS30V stainless-steel blade with tungsten coating decorated with tiger stripes. Has a 3D machined handle with a titanium back. The blade is 3.75 inches long and the entire knife weighs only 8 ounces. Made in the USA. $412 online. 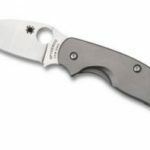 The blade is a long 3.95 inch D2. With a ballistic nylon sheath with malic clip. This is a frightening knife that is perfect for cutting and inflicting so much damage. 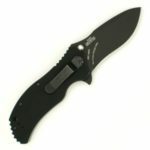 The blade is also coated to prevent corrosion and to extend the life of this amazing tactical knife. Read our review of the Infidel. $299 online. 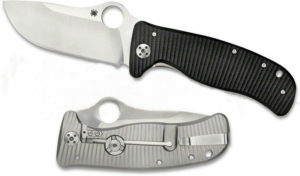 This is a handy yet expensive pocket knife with a Black G-10 scale on one side and solid titanium scale on the other. Features a hardened steel lock for added strength. Read our review of the LionSpy. $460-$550 online. 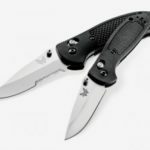 This may be the most expensive yet from the top 5 of the most expensive pocket knives online. The Boker has a contoured G-10 handle that houses a stainless blade with a beautiful Damascus pattern. The titanium frame and clip has a satin finish and also has a titanium frame lock. The blade measures 3 3/8 inch and weighs only 3/7 ounces. Your purchase comes with a collector’s box and certificate of authenticity. This knife was designed by Denmark’s Jens Anso. 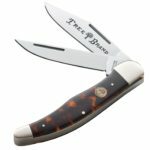 These are the top 5 of the most expensive pocket knives online. If you are looking into purchasing an expensive knife, do your homework and research on collectible and authentic ones. Check the value of the knife online and always ask for a certificate of authenticity or value so you can be sure of the product that you wish to buy. Always buy from reputable dealers or collectors so you are guaranteed of the value of your purchase.